Let's hear it for Harley! Based on the pinup-style artwork of Ant Lucia, this retro-inspired pennant is made of premium soft fabric and measures 30-inches wide x 12-inches tall. 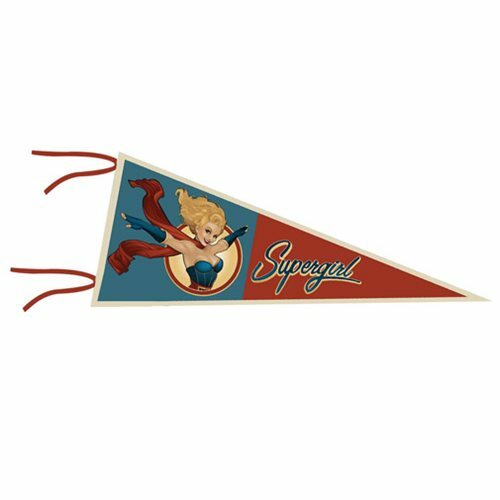 The DC Bombshells Harley Quinn Pennant is great for home, office, or dorm room. Ages 13 and up.